A Councillor working group has been set up to help Cheshire West and Chester plan for the exit of the UK from the EU. The cross-party Commission will meet over the coming months to better understand the implications for the Council from Brexit. 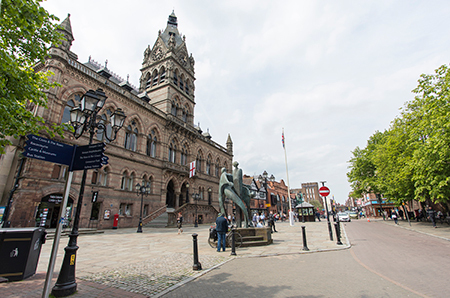 It will consider themes and issues over which the Council has some influence, such as the local economy, funding, workforce and skills, and changes to legislation. Cllr Karen Shore, who Chairs the group, said: “As the outcome of negotiations between the UK government and the EU gradually becomes clearer, we want to ensure that Cheshire West and Chester Council is as prepared as possible - both to protect against any risks and make the most of the opportunities presented by Brexit. “A key part of this process will be a Public Evidence session in the New Year. This is designed to give residents, businesses and wider partners an opportunity to present their evidence of how we should plan for the future. I really encourage you to get involved. A Report will be produced by the Commission outlining key issues and practical recommendations will be presented to the Council’s Cabinet in the Spring of 2019.